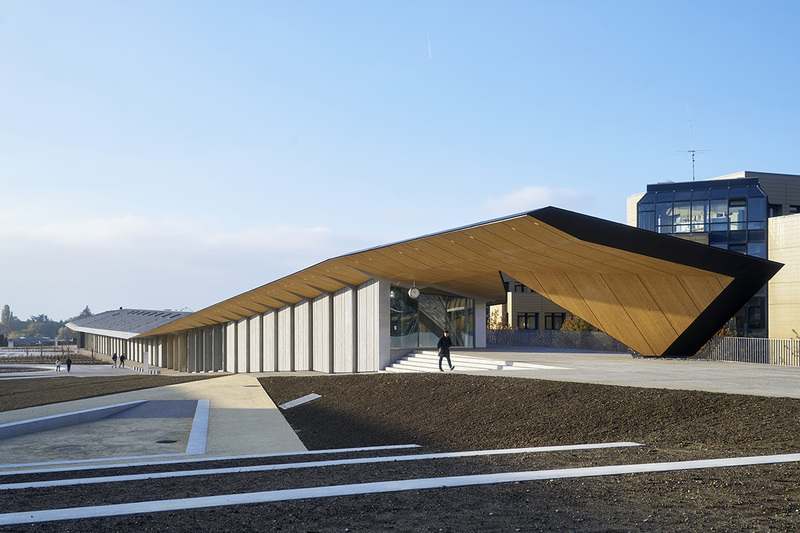 The new campus for Swiss Federal Institute of Technology in Lausanne (EPFL)is named Artlab, which consists of three programs – an Arts & Science Pavilion, a Technology & Information Gallery, and the Montreux Jazz Café. The three boxes are tucked under a grand pitched roof that stretches as long as 235m. Between each box, we designed an aperture area that generates two axes. The two lines help to marshal the flow of people and reorganize all the buildings in the campus.